One of the best ways to distance your organization from the competition is to solve a problem that frustrates your industry’s customers. 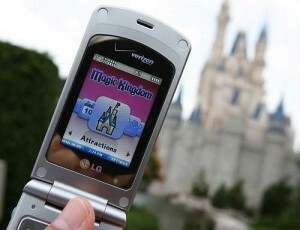 A recent Orlando Sentinel article provides a great example of this approach: Disney by Cell Phone. Disney World (and Disneyland) has just introduced a new way to help reduce wait time frustrations for Disney guests – “Mobile Magic.” It’s a smartphone application that allows guests to get real time information about attraction wait times, character greetings, and other park events. The application allows guests to get the most out of their Disney visit by helping them make informed decisions about what to do next. The full application of Mobile Magic is only available to Verizon subscribers right now, but a scaled down version is available to subscribers of other mobile services. The full application will soon be available to anyone with a cell phone. The reason for sharing this story isn’t to brag about Disney, it’s to point out an example of a relentless quest to solve an ongoing customer frustration. Every industry has its inherent customer frustrations, and most companies just accept them as givens. But customers don’t accept them as givens; we see them as reasons to look for alternatives. You don’t have to do an expensive survey to find out what frustrates your customers. You know exactly what frustrates them. Those recurring complaints and those negative customer interactions that burn out your employees tell you what the problems are. What’s needed is action. So we challenge you to pick one customer frustration that you’ll commit to solving. Start small if necessary; but commit to one. Bring in some employees from your operation and go to work coming up with and implementing a solution. Or you can use this link to a Service Improvement Meeting agenda which guides you through a team meeting for identifying and developing solutions to customer frustrations. Once you’ve solved a problem, go on to another one. Of course, Unleashing Excellence devotes an entire chapter to solving customer frustrations – “The Service Obstacle System.” The approach outlined in the chapter provides a step-by-step approach for crafting a barrier-busting system. Please send us your questions, or share examples of how your organization (or any other organization) has solved a customer frustration. We hope to make this blog a forum for best practices!